they longed to encounter You there. We too long to have a fresh encounter with You. and we will ascend and pass into your glory forever. no more deceit and no more falsehood. especially lying lips and a deceitful tongue. and lied and stretched the truth. to live among those who hate peace and love war. but promote peace among our friends and families. only through Jesus Christ who is our peace (Ephesians 2:14). namely the Middle East and the southern border of our own country. and bend our pride to your control. for Your glory and the building up of Your church. AMEN. 1. Make them women of noble character (31:10— ‘An excellent wife, who can find? For her worth is far above jewels.’) Make our women virtuous and morally excellent. May they hate sin and love Jesus more each day. 2. Develop our women into diligent workers (v.17— ‘She girds herself with strength and makes her arms strong.’) Give them strength for their tasks and the ability to discern the best from the good (Philippians 1:9 – making the excellent choice). 4. Give them a proper perspective of the future (laugh and smile at it) (v.25— ‘Strength and dignity are her clothing, and she smiles at the future.’) Free them from undue anxiety and slavish fear. 5. Develop our women into faithful, wise and kind teachers (v.26— ‘She opens her mouth in wisdom, and the teaching of kindness is on her tongue.’) The word ‘kindness’ is the Hebrew word ‘hesed.’ It means covenantal, steadfast, loyal, unfailing, and persistent love. 7. Cause our women to grow in their knowledge and fear of the Lord (v.30b – ‘But a woman who fears the LORD, she shall be praised.’) Give our women an affectionate reverence for You that would cause them to delight to do what you command. 8. Help our women to have a proper perspective on their outward appearance (v.30a— ‘Charm is deceitful and beauty is vain.’) Free them from the tendency to compare themselves with other women. Liberate them from an undue focus on externals for God does not look on the outward appearance but on the heart (1 Samuel 16:7). With what would you be satisfied? Like C.S. Lewis said, all of us parents at times “are far too easily pleased.” There are three Scriptures that I pray through on occasion for each of my children that remind me what God desires for them. 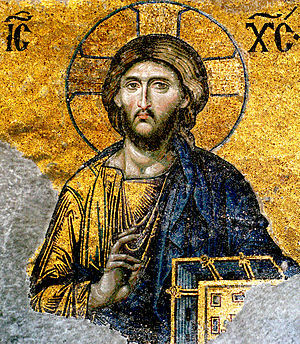 The Apostle John writes to his disciples in 3 John 6 that “I have no greater joy that to see my children walking in the truth.” This ought to serve as a bullet point for prayer for our children… that they might conduct their lives in the truth of the gospel… that nothing else would be more beautiful, engaging, and inspiring that “God’s grace in all its truth” (Colossians 1:6). Lastly, I pray for our children “to serve the purpose of God in their generation” just like King David did according to Acts 13:36. By the Lord’s empowering grace, may they find and fulfill God’s purpose for their lives. Nothing else will satisfy and give life meaning and true joy. May the Lord use this short post to stimulate your thinking about what you most desire for your children… whether they be your physical children or spiritual children in whom you are investing. Also, may these short Scriptures provide specific prayer requests for you to pray on your children’s behalf. Pray that someone you know would be confronted with the reality of the resurrected Christ and that Jesus would change the whole direction of his/her life. Pray that we would become a church who daily repents and turns to God and performs deeds in keeping with repentance – honesty, integrity, purity, generosity, hospitality, etc. Pray that we might see radical transformation of lives in our church and community: A change from darkness to light, from death to life, a change from spiritual complacency to spiritual fervor and love for Christ. Pray about how the Lord might be calling you to testify to Jesus Christ. Pray that He would give all of us opportunities to share our testimony. Pray for the Lord to give our missionaries opportunities and divine appointments to testify to the gospel of Jesus Christ. Pray for the Lord’s will to be done in the upcoming elections in our country. Pray that we would live as good citizens in our community and that we would treat our neighbors with both humility and hope. We treat them with humility because the gospel tells us we are saved by grace alone–thus our non-believing neighbors may have moral sense and wisdom that we do not have. We should expect to learn from them. The gospel of grace leads us to look at “unsaved” people witht this kind of respect, while a religion of works would not do so. We treat them with hope because the gospel tells us that our salvation is a miracle. We were not saved because we were so wise and rational and spiritually open. Therefore we can have hope for anyone–even the most closed and seemingly alienated from Christ. So if we treat all around us with respect and hope, and if we involve ourselves in the human community, not just the Christian community–then we will turn away the charge that Christians are not good citizens. – From Redeemer Church’s Fellowship Manual on Acts. Here’s a bullet point list of things we prayed for our church at this week’s vespers service. Paul’s words to the Sanhedrin in Acts 23:1 remind us that a “clean conscience” is available to even the worst sinner who trusts in Jesus Christ for the forgiveness of sins and the cleansing of his conscience. Pray that the Holy Spirit would move among us in a powerful way cleansing guilty consciences and that He would write God’s Word on our hearts (Ezekiel 36:25-27). Pray that our congregation would take time to worship God personally. This fosters a life of integrity (101:1b). Pray that we would commit ourselves to a lifestyle of personal holiness (101:2). That we would give heed to the blameless way, i.e. The way of integrity. That we would abstain from even all appearances of evil (Ps 101:3a, 4b, 1 Thessalonians 5:22). Pray that we would be so overwhelmed by our own inadequacy that we would ask the Lord to make known His presence and power in a dynamic and transformative way. Pray that we would “walk within my [our] house in the integrity of my [our] heart” (Psalm 101:2b). Make this especially true of all of our husbands, fathers, wives, and mothers. Pray that we would actively seek out relationships of accountability so that we live lives of integrity (Psalm 101:6-8). Pray that people in our congregation would actively look out of themselves to encourage others during our corporate gatherings as well as unstructured times. Pray for the Lord to give you opportunities to encourage others with the promises of His Word. 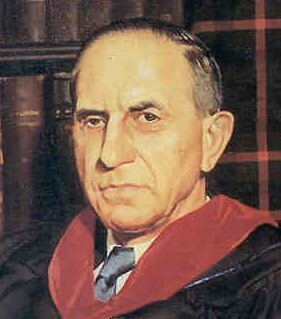 Pray for the resolve to heed John Murray’s sage counsel: “Meditate for at least fifteen minutes every day (okay maybe five minutes) on some word of God connected with His promises to His church and then plead with Him for its fulfillment.” You can’t share His promises unless you know them. Pray that when life hurts that God would encourage you and all of His people at Trinity by revealing Himself as the God of infinite wisdom, the God of sovereign power, and the God of perfect love. This is the simple outline of Jerry Bridges’ book entitled Trusting God When Life Hurts.